In lieu of flowers memorial donations made be made to Glaucoma Research Foundation and left at the funeral home. 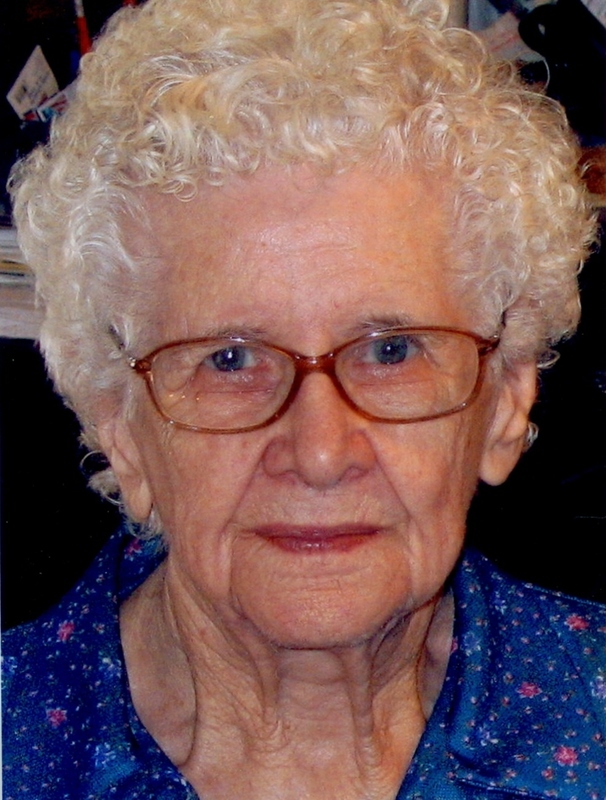 Georgia Aldine (Smith) Amick, age 97, of El Dorado Springs, Missouri, was born February 17, 1914, in Tiffin, St. Clair County, Missouri, to Howard R. and Ivy “Pearl” (Cochran) Smith. She passed away August 7, 2011, in El Dorado Springs. She married Ira “Raymond” Amick on November 28, 1930. They had three children: Bonnie, Velma and Billie Ray. Much of her married life was spent being a farmwife in Cedar, Vernon, St. Clair and Bates counties in Missouri. She later spent many years as the cook at the Nevada Country Club. After retirement, she spent many hours making quilts. Preceding her in death were her parents; sister Ruby Alexander; two brothers: Orval and Ralph Smith; and daughter Bonnie Jean Harms. Local survivors include her son Bill (Janice) Amick and their daughter Kaitlyn; granddaughters Karen Harms Hutchison and Kim Harms (Jeff) Parrish; great-grandchildren Amanda Hutchison (Shawn) Eaton; Leslie Hutchison (Micah) Gayman; Kelsey Klenklen and Cameron Parrish; great-great-grandchildren Kimber and Ruger Eaton; and Joey, Jeremy and Heidi Gayman; and her sister Dortha Fugate. Surviving in Connecticut and surrounding area are her daughter Velma; grandchildren Ed L, Rick, Lisa, Michelle, Jeff, and Jill Corey; and eight more great-grandchildren. The family will receive friends Thursday, August 11, 2011, from 6-7 p.m. at Bland-Hackleman Funeral Home. Funeral services will be on Friday, August 12, 2011, at 10:00 a.m. at Bland-Hackleman Funeral Home, with Rev. Joe Trussell officiating. Interment will follow in El Dorado Springs City Cemetery under the direction of Bland-Hackleman Funeral Home. Pallbearers are Jeff Parrish, Sam Barger, Randall Floyd, Jim Starkey, Gene Starkey, and Clarence Hackleman.